The role of the Board is to provide the College with strategic leadership and direction that is in the best interests of the institution. This role includes overall goals and outcomes at Cambrian, such as approving the annual budget and report; assessing attainment of corporate goals, outcomes and effectiveness; hiring the President of the College, and evaluating their performance. The Board is comprised of 17 individuals: 12 external Governors who reflect various sectors of the community, and 4 internal governors representing students, faculty, support and administrative staff, plus the President. With the exception of the President, members of the Board sit as volunteers. Governors serve a three-year term (commencing September 1 through to August 31) with eligibility for consideration for a second term. His birth certificate says William, but he will quickly ask you to call him Bill. Tall, with a slim build, Cambrian College President Bill Best looks as comfortable in a suit and tie as in hiking boots and jeans. He navigates through crowds with an easy smile and quiet confidence, and like a true Maritimer, is an eager and effortless orator. His smile broadens whenever he speaks of his wife and three children. Best hails from Nova Scotia, but spent more than 20 years living and working in New Brunswick in postsecondary education in a variety of leadership roles, most recently at the New Brunswick Community College (NBCC) in Fredericton. He has held the positions of Interim President and CEO (2009), Vice President Finance and Administration, Vice President Academic and Student Development (2010-14), Dean and Professor. Best led the amalgamation of the New Brunswick community college system, which included six individual institutions, into a single crown corporation, and was responsible for implementing an $80-million (CAD) infrastructure expansion. In addition to his leadership skills, Best brings with him entrepreneurial experience, business acumen and a keen interest in research, which are certain to be great assets to the Sudbury community. With a focus on student success, professional collaboration and academic differentiation, he will oversee Cambrian’s new five-year strategic plan, which will concentrate on nurturing sustainability and confirming the College as a northern leader. Best assumed leadership from Interim President Sonia Del Missier on August 5, and shortly thereafter, identified his key priorities: (i) to foster a dynamic learning environment; (ii) to strengthen strategic partnerships; and (iii) to engage community partners in order to contribute to the socio-economic growth of northern Ontario. Best holds a Master of Education from Acadia University, as well as undergraduate degrees in education and in business administration from the University of Western Ontario and Acadia University, respectively. He, his wife and their three children chose Sudbury as their new home for its northern setting, the opportunities that Sudbury offers for quality education, and its wealth of family and lifestyle opportunities. Avid four-season outdoorspeople, the Best family enjoys ATV-riding, snowmobiling and water-skiing, as well as competitive sports such as basketball, volleyball, track and field, rowing and gymnastics. Ron Sarazin is employed at Gezhtoojig Employment and Training in Sudbury as the Special Projects Coordinator. Gezhtoojig is an Aboriginal employment agency that promotes the development of a skilled Aboriginal workforce for the needs of our industry partners. Ron has over 25 years of experience in employment counselling and project development both in the Federal and Aboriginal employment development initiatives, with a primary focus on apprenticeship and trades. Ron is an Honors graduate from Cambrian College’s Business Administration program and has previous work experience in the mining industry. Presently, Ron focuses on developing industry partnerships and working with trainers/educators to align training initiatives with industry needs. A former Cambrian College professor, Kati is Laurentian University’s first manager of energy and sustainability. She brings to the Board a solid knowledge of sustainability and the environment. Her previous positions include quality assurance coordinator and senior environmental analyst and section leader at Vale. She also helped develop two courses at Cambrian: Air Pollution Abatement and Air Quality Monitoring. Kati has a Bachelor of Science – Honours Chemistry degree from Wilfrid Laurier University, a Master of Science – Chemical Sciences degree and a Master of Business Administration degree from Laurentian University. Kati is highly involved in the Sudbury community, with volunteer positions on the Science North Business Affairs Committee, Cambrian’s Program Advisory Committee for Environmental Monitoring and Impact Assessment and the steering committee for the Greater Sudbury Community/Municipal Energy Plan. Nicole Beauparlant is a Cambrian graduate who began her career at the college in 1991. She possesses broad and deep knowledge of current and past challenges and opportunities at Cambrian. She also has a thorough understanding of postsecondary administrative and academic processes. Nicole has held leadership roles across a number of divisions, including Finance, International, and in the Office of the Registrar. She is known for applying an analytical and collaborative approach to find solutions that prioritize students’ interests. Nicole also serves as Co-Chair of the Internationalization Working Group, which is tasked with achieving many objectives contained in Cambrian’s Strategic Plan. She has also served on the Committee of Registrars, Admissions & Liaison Officers; the Admissions Issues & Policies Sub-Committee; the Registrarial & Information Systems Sub-Committee; and the Ontario Association of Student Financial Aid Administrators. Bruce Bichel is responsible for Vale’s Production Services and Support operations in Ontario. In his role, he oversees the Central Engineering, Divisional Shops, Transportation, and Capital Project Execution for Mines and Surface Plants. He began his career in 1989 as a metallurgist in Flin Flon, MB at the HBM&S’s Smelter and over the next 7 years progressed through various production related roles. In 1996, he joined INCO working in various refinery and smelter operations and project roles. Bruce and his family relocated to Indonesia from 2005 – 2009 to work at Vale’s nickel operations. In 2011, he assumed responsibility for the Ontario Smelting and Refining operations. Bruce currently serves as a member of the Board of Directors for The Northern Centre for Advanced Technology (NORCAT). Bruce has a Chemical Engineering degree from the University of Saskatchewan (1989) and is a registered Professional Engineer in Ontario. Jason is a graduate of Cambrian’s Advertising Program (1995), and achieved the designation of Accredited Business Communicator from Royal Roads University in Victoria, British Columbia. As NORCAT’s Director of Training and Development, Jason is responsible for the management and implementation of large-scale training programs and innovative delivery mechanisms to provide skills development and health and safety solutions across a variety of industries. He has provided customized health and safety programs and solutions to clients in government, healthcare, education, mining, construction, oil and gas, among many other sectors. Jason is an active volunteer. He currently serves as Chair of Cambrian’s Animation Program Advisory Committee, and is a past president of the United Way Centraide Sudbury and District. Cheryl Ann Corallo is the Superintendent of Business and Finance and Treasurer of the Board at the Sudbury Catholic District School Board. Cheryl Ann has had the opportunity to work with numerous sectors during her tenure in with Public Sector Accounting with Ernst & Young, KPMG and Freelandt, Caldwell, Reilly. She spent some time as a self-employed consultant and spent ten years with FedNor in a senior position prior to adjusting her focus from economic development to education when she joined Sudbury Catholic. A Certified Public Accountant, Cheryl Ann graduated from the University of Toronto with a Bachelor of Arts in Commerce and Economics. Cheryl Ann actively pursues her own professional development and has most recently completed the Ontario Supervisory Officers Executive Leadership Program through the Rotman School of Business. Cheryl Ann has spent many hours volunteering over the years with School Councils, has volunteered as the Treasurer for the Ride for Sight (in support of Retinitis Pigmentosa research) and is a former board member with the Copper Cliff Skating Club. Yves Dalcourt is a graduate of Cambrian College (Marketing 1990). Since 2016, Yves has served as President of Miele Ltd. (Canada), where he also held the position of Vice-President of Sales. Yves’ corporate leadership experience includes executive positions with American Standards Brands Canada (General Manager), LG Electronics (VP, Home Appliances), and Mars Canada (Director of Sales). Away from the office, Yves serves on the Board of the Canadian-German Chambers of Commerce and Industry, and is an active member of the Presidents of Enterprising Organizations (PEO). Patrick is a Cambrian College international student in the second year of the Police Foundations program. Before attending Cambrian College, Patrick studied French and Spanish at Aston University in England, spending time on exchange in both Spain and in Quebec City. Patrick is an active member of the community through his involvement as Vice President of the Cambrian College Criminal Justice Association and his participation in the Program Advisory Committee for Police Foundations. Outside of Cambrian, Patrick enjoys volunteering weekly at the Eglin Street Mission and with the Greater Sudbury Police Service. In his first year, Patrick was recognized for his volunteer contributions and work ethic and was awarded both the Cambrian International Award of Excellence and the Cambrian International Community Scholarship Award. Born and raised in Sudbury, Maureen is a graduate of Cambrian College’s Registered Nursing Program (1986). She also holds a Bachelor Degree in Nursing from Ryerson University and a Master’s Degree in Health Administration from the University of Toronto. Over the past 30 years, Maureen has worked as an RN in both Toronto and Greater Sudbury. In 1991, she led the development of northeastern Ontario’s first HIV clinic. During her time at Health Sciences North in Greater Sudbury, Maureen has taken on numerous leadership positions. In 2015, she was named an Associate Vice President responsible for many of HSN’s clinical services. She also serves as an Adjunct Professor at with Laurentian University’s School of Nursing. Maureen is an active volunteer, serving on the boards of local, provincial, and national organizations in the fields of mental health and addictions, palliative care and HIV-AIDS care. Sonia is a graduate of Laurentian University, holding an Honours Bachelor of Languages and Master of Business Administration. Sonia recently retired from Cambrian College, after a career of 39 years. During her time at Cambrian, Sonia served in numerous leadership capacities, including Chair of Continuing Education, Dean of Academic Support Programs, Vice President Community and International Development, Vice President, International, Applied Research, and Business Development, and Vice President Academic. In addition, she served as Interim President from October 2013 to August 2014. An active community member, Sonia is a Governor for both Laurentian University and the Alzheimer Society – Sudbury-Manitoulin, North Bay & Districts. She is a member of the Rotary Club of Sudbury- Sunrisers and an active volunteer with the Canadian Cancer Society. Jeanne Naponse is an educator and proud community member, Elder, and former Chief of Atikameksheng Anishnawbek, where she is a knowledge keeper of the Anishnawbek history, customs and traditions. Jeanne is a graduate from Central Michigan State University where she received a Master’s Degree from the Department of Educational Leadership. She is a former faculty member and academic dean at Cambrian College. During her time at Cambrian, Jeanne was an advocate for community-based delivery and was instrumental in bringing programming to Indigenous communities, through community partnerships. 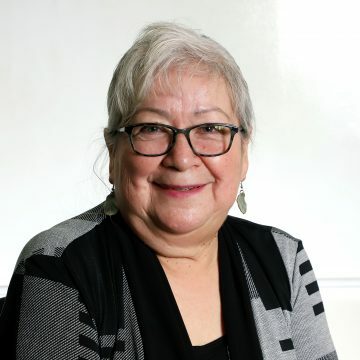 Jeanne has served on numerous boards and committees, including the Union of Ontario Indians, Mamaweswen (North Shore Tribal Council), Northern Ontario School of Medicine, University of Sudbury, Social Planning Council of Sudbury, Shkagamik-kwe Health Centre, and the Kinoomaadziwin Education Body (representing 23 participating First Nations). Daryl Park was born and raised in Sudbury and attended Sheridan Technical School and Cambrian College. He is a licensed industrial mechanic (millwright) Red Seal and worked in the automotive manufacturing sector with Neelon Castings for 23 years. Prior to this, he worked at Inco (Vale) for nearly 10 years with both the Field and Mines Exploration Departments. Daryl began his career at Cambrian College in 2005 as a professor in the Industrial Millwright program. He is committed to lifelong learning and enjoys working with tomorrow’s leaders in the mechanical trades. One of the initiatives he’s most proud of is the development of Cambrian’s Material Handling Circuit, which is the only one of its kind at a Canadian community college. The circuit provides hands-on experience to Millwright students. Paul Pedersen has been at the helm of the Greater Sudbury Police Service since May 5, 2014. He came to Sudbury from the York Regional Police Service. During his 35 years in policing, he has moved through progressively senior leadership positions, including Investigative Services and Community Services. Paul holds a Master of Public Administration from Western University, as well as a diploma in Adult Education from St. Francis Xavier University. He has taught at Sheridan and Seneca colleges. Since assuming his new position, Paul has embraced Sudbury and has been an enthusiastic supporter of many community organizations. He is vice-chair of the Sudbury Food Bank, on the Board of St. John Ambulance and the St. Joseph’s Foundation, a member of the Rotary Club and has participated in countless community events and fundraising initiatives, including the Polar Plunge for Special Olympics. Glen Retty was born in Sudbury and graduated from the University of Western Ontario in 1980. He received his Accounting designation from the Certified Management of Accountants (CMA) Ontario in 2009. Most of Glen’s career was in the automotive industry, where he held senior positions in Operations and Finance, working for manufacturers supplying parts to the tier 1 automotive industry. Glen has managed operations in Canada, the United States and Mexico. Glen returned to Sudbury in 2010, joining Xstrata Nickel as controller. In 2011 Glen was promoted to his current position as manager of Financial Accounting, responsible for all finance/accounting functions for Sudbury operations. For the past three years, Glen has been active in the Sudbury CMA by serving as a sub-committee member and vice-chair to promote professional development in the accounting and business community. Jeff is Executive Vice President of the Manitoulin Group of Companies. Jeff graduated from Western University in London in 1985, with a degree in Economics. After university, he joined the family business, Manitoulin Transport and Manitoulin Group of Companies, moving frequently within Ontario while managing several facilities. Jeff has particular expertise in the fields of continuous improvement, quality management, and environmental systems. Jeff is quite involved in the community, serving as a director of the Sudbury Food Bank, Sudbury Area Mining Supply and Service Association, Montessori School, and Sudbury Christian Academy. Jessica Valiquette is a Buyer in the Purchasing Department at Cambrian College. She holds a Bachelor of Arts degree (Laurentian University), Certified Employee Benefits Specialist Designation (IFEBP/Dalhousie University) and is currently working toward her Certified Public Procurement Professional designation. Jessica started at Cambrian College in 2009 as a part-time clerk in the IT Department, before assuming the full-time Buyer role in August 2017. Jessica currently sits on the College Council and the Working Group for Strategic Initiative 6.3. Jessica is the Communications Director for Opera Gala…Opera for a Cause, a charity event in which she also performs as an orchestra member. She has previously served as Vice-President of Business and Professional Women Sudbury, and was an inaugural executive member of the Ward 8 Community Action Network. When not participating, Jessica continues to volunteer at various fitness events in the community including the Northern Cancer Foundation’s Trek for Cancer, the Hypothermic Half Marathon, and the SwimRun Challenge. The Board oversees several key policies at Cambrian College. These policies range from codes of conduct, to governance, to evaluation of Cambrian’s President.